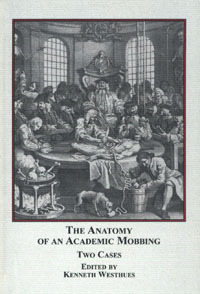 In late 2008, The Edwin Mellen Press published a new title in its series on workplace mobbing: The Anatomy of an Academic Mobbing, edited, with a lengthy introduction by Kenneth Westhues. The book includes the revised and fully annotated text of Joan Friedenberg's lecture in memory of Hector Hammerly, along with Hammerly's own posthumous essay on the circumstances of his ouster from Simon Fraser University. Click here for the publisher's webpage on the book, and follow the links to order your copy online. 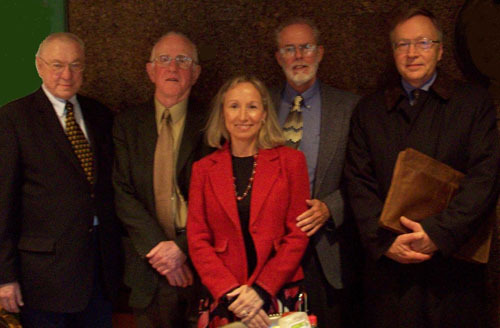 Click here for the abstract and Friedenberg's bio. Click here for the pre-lecture slide show. Click here for printed text of the first part of the lecture. Thanks to Rachel Morrison, Hannah Masterman, the UW Audio-Visual Department and the Arts Computing Office for assistance in preparation of this webpage.